Kokomo, Ind. 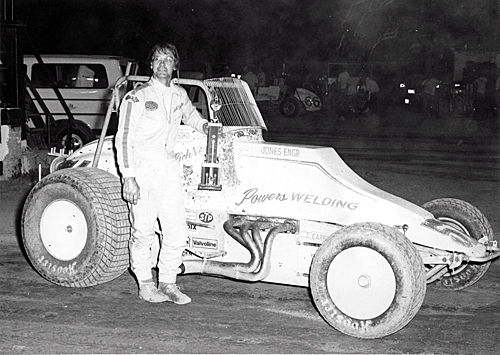 (July 21, 1982) - Rich Vogler celebrated his 32nd birthday five days early by grabbing his first United States Auto Club Sprint feature victory of the season before a full house at the Kokomo Speedway Wednesday night. Vogler, driving the No. 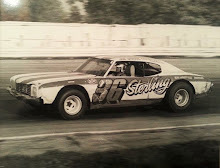 51 Powers Welding/King's Custom Machine entry, started on the pole and led the 30-lap feature from start to finish. Ken Schrader, who closed on Vogler as the two lead cars started lapping the field, challenged him. 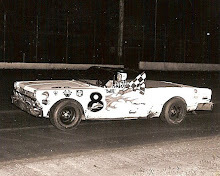 But on the 18th lap, Bob Brutto hit the first turn wall and spun to bring out the second yellow. "After the second yellow, I felt from the signals that I was getting from my crew in the infield that I was pulling away," a smiling Vogler said after the race. "I started to ease up a little then. I knew I was as fast as or faster than the rest, and I didn't want to make a mistake and spin out." 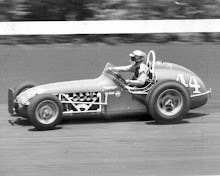 Vogler, the only man to win both the USAC Midget and the USAC Sprint titles in the same season (1980), picked up points on USAC defending sprint champ Sheldon Kinser. Kinser finished fourth in the race behind Vogler, Schrader and Steve Long. Before the race, Kinser led with 378 points. Vogler was second with 239, Danny Milburn was third with 190 and Steve Long was fourth with 189. Milburn finished fifth in the race, so Long trades places with him in the point’s race. It was a record shattering night for the "Thunder and Lightning" Division as Tom Bigelow's qualifying time of 16.640 seconds was broken by four drivers. Kelly Kinser, winner of three features at Kokomo this season, is the new record holder with a 16.368 clocking. Also shattering Bigelow's mark was Sheldon Kinser (:16.454), Schrader (:16.449) and Jac Haudenschild (:16.630). 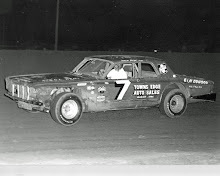 A USAC heat record was set in the first heat by Johnny Parsons with a time of 2:17.59. That record lasted until the next heat when Sheldon Kinser, who started last in the inverted order of fast times, roared to the front and won with a clocking of 2:16.53. The third heat went to the hard driving Schrader who also started at the back of the pack. On lap one, Larry Martin and Gary Irvin banged together and got crossways between turn one and two. Irvin's car was damaged and did not restart. Kokomo's Tim Bookmiller made the feature by finishing fourth behind Milburn and Bimbo Atkins. The fourth heat was won by Frankfort's Terry Pletch with Haudenschild second. Haudenschild, who won the USAC feature at Eldora Speedway Saturday, was banging wheels with Jerry Nemire throughout the hotly contested race. 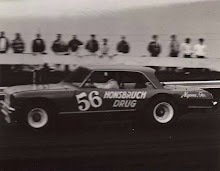 Tom Bigelow won the semi-feature.